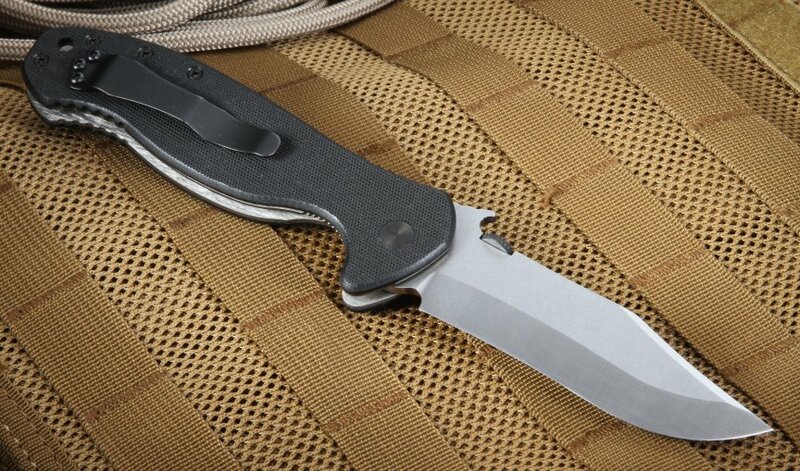 Emerson Knives' Patriot model is an excellent choice if you're seeking a nice-sized, solid workhouse of a folder. Created as a tribute to George Washington, this Patriot blade boasts a satin finish (other options are stonewashed and black Teflon) that emphasizes its clean lines and reduces glare for your outdoor tasks. 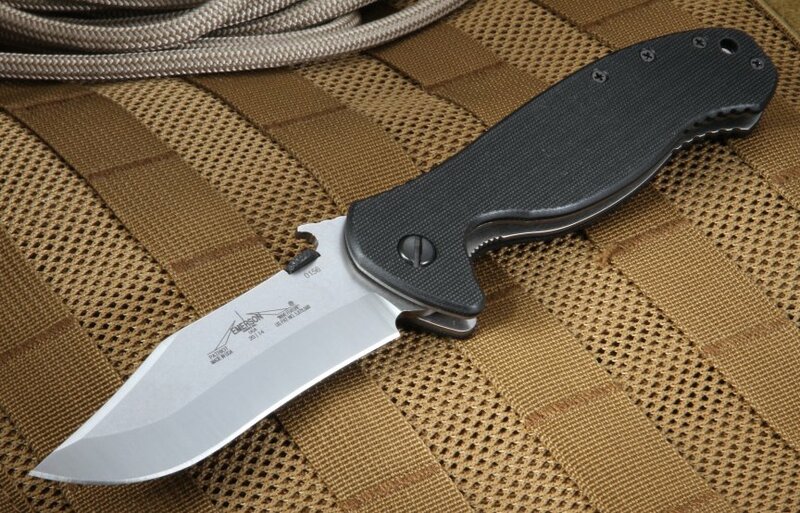 Constructed of 154CM stainless with a hardness of 57 to 59 RC, the Emerson Patriot's 3.9-inch blade features a slight recurve with a clip point tip paired with a conventional V-grind. The single-side edge on the 0.125-inch thick blade means it's easier to keep sharp for every day use. 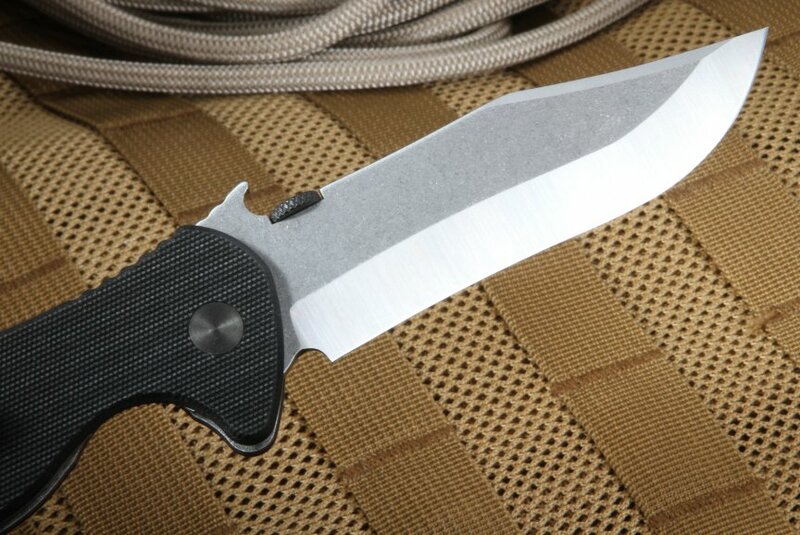 You can get a plain blade or one with a partially serrated edge, depending on your needs. 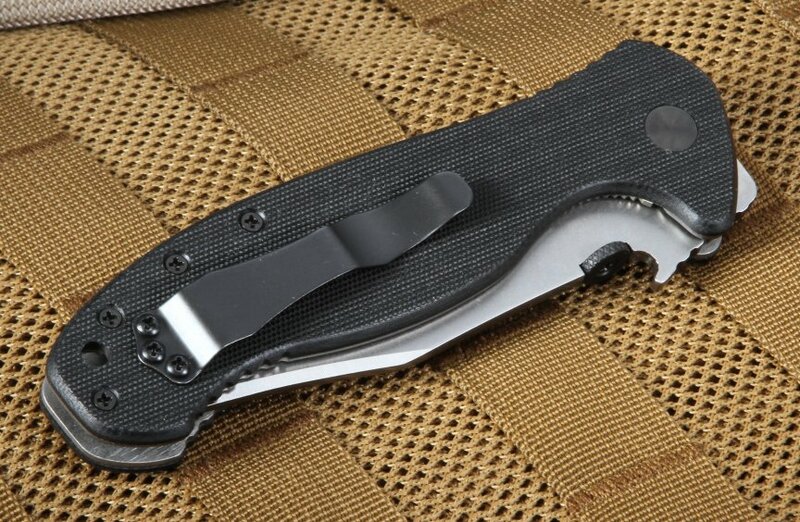 An ergonomic, textured black G-10 handle sits over a titanium liner lock system that holds up well under regular use. Jimping improves usability and leads right up to the patented Wave Feature and thumb disk that makes the knife very easy to deploy one handed. You can have it open literally the minute you pull it from your pocket. 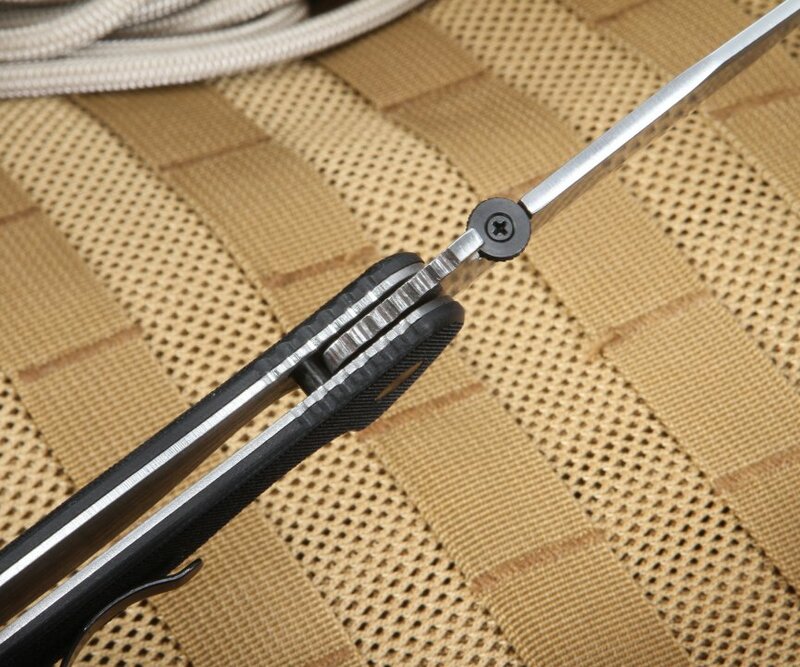 The Patriot is designed for right-handed users and comes with a pocket clip for right-hand carry and a lanyard hole. Made entirely in the U.S., the Patriot measures 9.15 inches overall and weighs in at a respectable 6.2 oz. Purchase the Emerson Patriot with Satin Finish from KnifeArt.com, and we'll guarantee that you're highly satisfied -- or you can get your money back. We'll ship it free and you'll have it in your hands in 2 to 3 business days if you order now.